PSPA asks ERC to correct payment system under net metering | SunAsia Energy Inc.
Photo Credits from Philstar - “Electric power generated by an end-user may be used to offset electric energy provided by the utility company to the end-user during the applicable period. 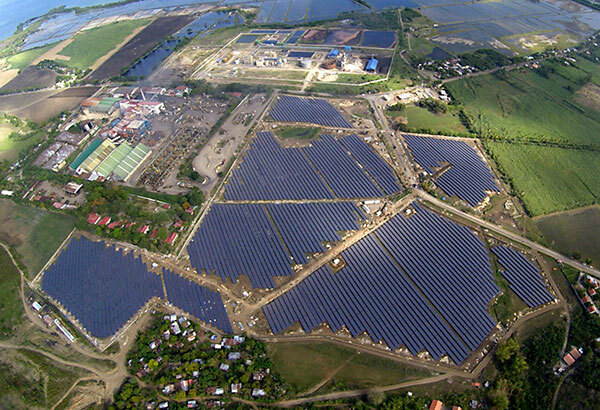 Thus, the net-metering customer is only charged or credited, as the case may be, the difference between its import energy and export energy,” Tetchi Capellan said. The Energy Regulatory Commission (ERC) was asked to clear out issues in the payment system of distribution utilities (DUs) to homeowners with solar rooftops under the net metering program. In a position paper filed yesterday, the Philippine Solar Power Alliance (PSPA) said the current payment mechanism needs to be corrected since it is contrary to the Renewable Energy Law and its implementing rules. The net metering program is a non-fiscal incentive given to solar rooftop owners provided in the RE Law by way of granting credits earned from electricity produced net of consumption. Under the law, a net-metering customer is only charged for his net electricity consumption and is credited for any overall contribution to the electricity grid, PSPA president Tetchi Capellan said. “Electric power generated by an end-user may be used to offset electric energy provided by the utility company to the end-user during the applicable period. Thus, the net-metering customer is only charged or credited, as the case may be, the difference between its import energy and export energy,” Capellan said. But according to the PSPA, this is not how net-metering customers are paid. Instead, a lower kilowatt price for exported energy, the generation charge, is applied to calculate the credits due to the solar rooftop homeowners. Because of this, the PSPA urged the ERC to take into account the computation of credits as the present system is contrary to law. The Alliance emphasized the net-metering customers are entitled to the true value of solar. Nowhere in the law is it specified that the preliminary reference price, the generate charge, applies only to imported energy. Capellan said solar rooftop owners invested their savings to produce clean energy and unlike big solar utility owners, they do not receive tax holidays and duty-free importation. “What rooftop solar owners simply ask is they receive the true value of solar and apply the true solar price to both exported and imported energy, to be consistent with the law, its IRR and the ERC Rules,” she said.